At AXA IM, we are proud that we have been certified for our gender equality practices by EDGE (Economic Dividends for Gender Equality). Having independently reviewed our organisation’s ability to foster gender equality, and benchmarked this against both global standards and our peers, EDGE has determined that AXA IM has made a global commitment to gender equality in the workplace. This provides a good foundation from which to build sustainable progress in the future. EDGE Certification represents a significant milestone in our journey towards building an inclusive and equitable workplace for both women and men. It is a public declaration of our commitment to continuous, measurable improvement in support of our ambition to be recognised as an employer of choice within the asset management industry. Indeed, study after study shows that diversity has a positive impact on productivity and 87% of the AXA IM employees surveyed would agree that gender equality is important for the company to remain competitive in the market. 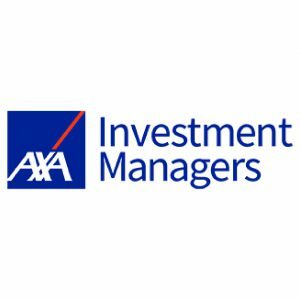 AXA Investment Managers (AXA IM) is an active, long-term, global multi-asset investor. We work with clients today to provide the solutions they need to help build a better tomorrow for their investments, while creating a positive change for the world in which we all live. With approximately €746 billion in assets under management as at end of December 2017, AXA IM employs over 2,390 employees around the world and operates out of 30 offices across 21 countries. AXA IM is part of the AXA Group, a world leader in financial protection and wealth management. AXA Investment Managers UK Limited is authorised and regulated by the Financial Conduct Authority. This press release is as dated. This does not constitute a Financial Promotion as defined by the Financial Conduct Authority and is for information purposes only. The content herein may not be suitable for retail clients. No financial decisions should be made on the basis of the information provided. Strategies mentioned may not be registered or available in your jurisdiction. This communication is not an offer to buy or sell any investments, products or services and should not be considered as a solicitation or as investment, legal or tax advice. EDGE is the leading global assessment methodology and business certification standard for gender equality. It measures where organisations stand in terms of gender balance across their pipeline, pay equity, effectiveness of policies and practices to ensure equitable career flows as well as inclusiveness of their culture. Launched at the World Economic Forum in 2011, EDGE Certification has been designed to help companies not only create an optimal workplace for women and men, but also benefit from it. EDGE stands for Economic Dividends for Gender Equality and is distinguished by its rigor and focus on business impact. EDGE assessment methodology was developed by the EDGE Certified Foundation, which continues to act as the guardian of the EDGE methodology and certification standards. Its commercial arm, EDGE Strategy, works with companies to prepare them for the EDGE Certification. EDGE Certification is currently working with nearly 200 organizations, in 50 countries and 23 industries.